Guaranteed Quality and Consistency for the Epoxy Flooring Contractor. Assurance covers are designed to meet the needs of flooring contractors. 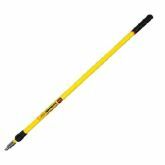 They are extremely shed-resistant and provide a consistent quality you can depend on.